I just uploaded a huge update. There are 3 levels now (+ tutorial) and some fun things to unlock. 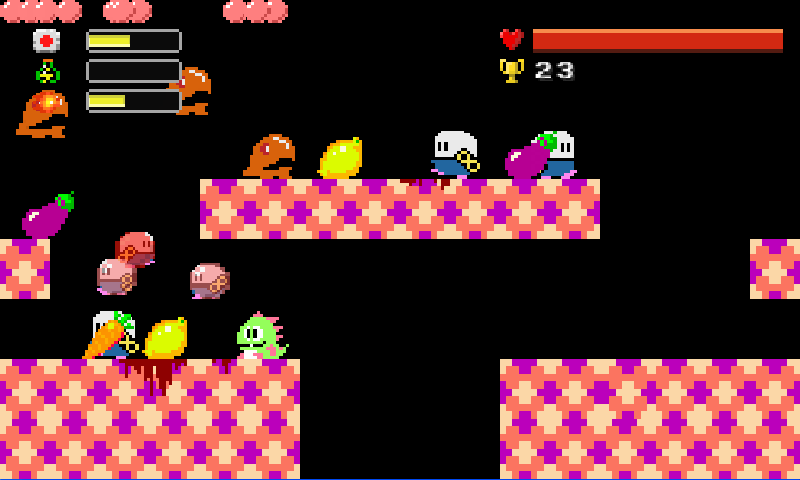 Also, finally you can see what I'm trying to accomplish with this game. 2 Response to "Pixel Slaughter! 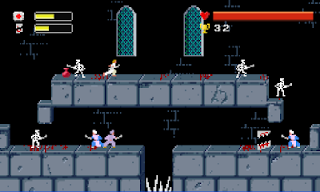 v0.5"
On the Prince of Persia level, if you jump into the middle of the spikes, you will not die (or even be harmed). (not a bug, let's say feature request)If you exit the game your progress and high score is lost. (possible bug? )In the Bubble Bobble level the energy (bottle) skill will trigger if the fireball skill triggers. (possible bug? 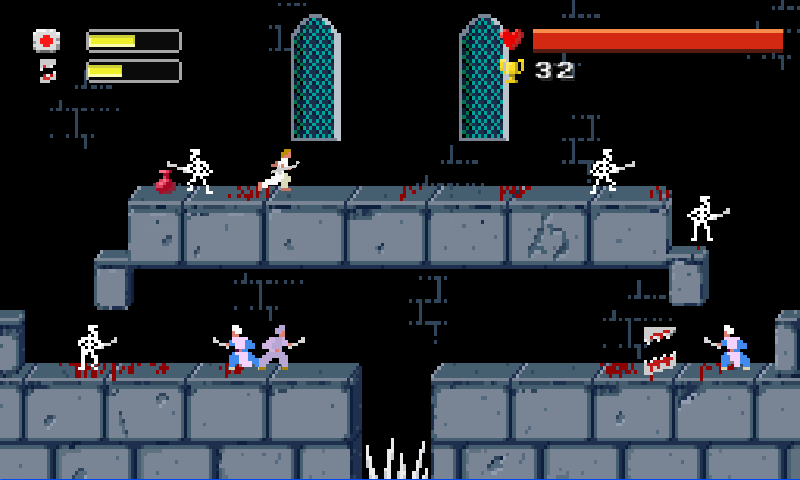 )In the Prince of Pesia level skeletons will sometimes teleport to the lower level instead of being pushed. In the Prince of Pesia level if you get (fill the bar) the med-kit, while you have a crusher ready (red bar), it (crusher) will be lost. And vice versa (if you get crusher, you lose medkit).